Who Must File 1099 Forms? 1. Who Needs Tax Form 1099? 2. Where Do I Put My 1099 Miscellaneous Income on My Tax Return? For businesses and employees, tax season is fairly straightforward. Businesses withhold taxes and hand over a Form W-2 after the end of the year, making it easy for employees to file. But for the 20 percent of American workers who now work in a contract capacity and their employers, things are a little more complicated. Taxes aren’t withheld from their pay and at tax time, a Form 1099 may be sent to them, but even that isn’t guaranteed. Other types of 1099 forms cover income from investments, retirement and home sales. Businesses must send a 1099 form to every taxpayer who received qualifying non-W2 income during the tax year, including independent contractors, investors and retirees. Who Must File a 1099? Businesses are required to file a W-2 for all employees, regardless of how much they were paid throughout the year. The same rule doesn’t apply to independent contractors, though. Employers are required to issue a 1099-MISC for any contract worker they pay $600 or more during the tax year. These forms apply specifically to services performed for your business, not personal services you hired out. For individuals, a 1099-MISC is necessary if they earned income as an independent contractor for the year, whether it was $100 or $100,000. It’s important to note that you likely won’t receive a 1099 if you don’t make more than $600. This means you’ll need to track every dollar you make from every client throughout the year and prepare to report all of it at tax time. Do Personal Contractors File 1099s? Things can get a little confusing when hiring contractors for personal services. If someone cleans your home or babysits your children, no 1099 is necessary. The people providing those services aren’t absolved from reporting the income and paying taxes on it, though. You simply are under no obligation to supply a form. The exception is a household employee who does work that you control. If you employ a full-time housekeeper or part-time nanny, for instance, and that person works a set number of hours per work using your supplies and on your terms, that person would likely qualify as an employee. That means not only are you required to submit a W-2 form at tax time, you’ll also need to withhold income taxes and submit them to federal and state authorities with each paycheck. When Form 1099 is brought up, many immediately associate it with 1099-MISC, which is specific to contract-related income earned during the year. However, there is an entire line of 1099 forms, each with its own unique purposes. Generally speaking, 1099s are used to cover any interest earned during the year that was not included on a W-2 form from an employer. This includes contractor pay, but it can also extend to income from investments, rental property and sales proceeds. The good news is if you received all of this income from one entity, the employer can use a 1099-MISC to encompass it all. Various 1099 types have their own unique filing minimums. In general, however, it’s important for taxpayers to track all of the sources of non-payroll income they receive throughout the year since you’re required to report the income even if you don’t receive a form at tax time. Who Must File a 1099-B? A similarly named but completely different form is the 1099-B, which is provided by brokers or barter exchanges. This means if you sold or traded securities during the tax year, you’ll receive a form detailing that activity. Brokers are required to submit a 1099-B to every client who sold trading vehicles. Unlike the contractor’s 1099 form, there is no 1099-B minimum amount. You must report all gains and losses from stock activity during the year. Failure to do so could result in penalties for underpayment of taxes. However, if the activity occurred as part of your employment and the income was included in your earnings through that business, you won’t receive a 1099-B, since your employer will roll that amount into your yearly income. The 1099-MISC and 1099-B aren’t the only two types of 1099s. There’s also the 1099-DIV, which financial institutions provide to taxpayers who received dividends and other distributions, and the 1099-INT, which details the interest income you earned during the tax year. If you received unemployment compensation or agriculture payments, you’ll receive Form 1099-G, which is used to report certain government payouts. There are many others, most of which capture miscellaneous payments like those from health care plans and real estate transactions. Once you reach retirement age, you’ll see 1099s far more often. A 1099-R is provided to taxpayers receiving payouts from profit-sharing or retirement plans, IRAs, annuities or disability payments. Those retiring from the railroad will receive an RRB-1099, while Social Security benefit recipients will receive an SSA-1099. While working, if you participate in a health savings account, you’ll receive a 1099-SA. You can report all of this income on Form 1040, keeping things as simple as possible, and attach all of the 1099s you received when you file your tax return. Although many 1099s require reporting no matter how much income you made, there are limits on some of them. For a 1099-DIV, 1099-R or 1099-INT, you’ll only need to report income if it exceeds $10, or $600 if it was part of a liquidation. For 1099-G, you’ll need to report income of $10 or more. Forms RRB-1099, SSA-1099 and 1099-SA are issued for any amount received during the tax year. Another notable 1099 is the 1099-OID, which you’ll need if you purchased bonds or certificates at a discount. You probably know OID in terms of zero-coupon bonds, which don't pay interest but are sold at a deep discount. This discount can lead to an OID being seen as interest for tax purposes. A 1099-OID needs to include the dates the owner held the debt instruments, the interest paid or credited, any interest forfeited and any backup withholding that applies. If you receive a 1099-OID, you’ll report the interest income on Form 1040 or Form 1040A. If you’re using 1040, you’ll input the information on Schedule B, line 1, and on 1040A, it’s Schedule 1, line 1. There is no minimum reporting requirement for original issue discount and you’ll need to report all OID income you earned during the year even if you don’t receive a 1099. 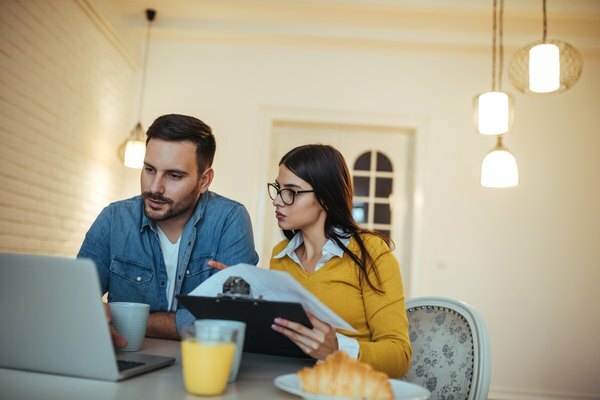 If you work in real estate or sell your own house, you’ll need to know about Form 1099-S, which is designed to report proceeds from the sale of real estate. Those working with a real estate agent or closing attorney will likely find that this is part of the closing paperwork and will not have to worry about it. But for those facilitating a home sale, this form is important. According to the IRS, “the person responsible for closing the transaction” is in charge of filing Form 1099-S. For buyers, the closing paperwork often also includes a clause stating that the seller is responsible for paying any taxes due on the proceeds of the home sale. You aren’t required to issue Form 1099-S unless the taxable income was $600 or greater. It’s important to note that in many cases, a 1099-S isn’t even necessary. If the home is your primary residence and you lived there at least two of the five years before you sold it, you can have a gain of up to $250,000 on your home sale before capital gains taxes kick in. If you’re married filing jointly, that gain can be up to $500,000. However, you can’t have taken this exclusion on the sale of a home in the two years prior to the date you sold the most recent one. If you exceed this limit, the excess will be taxed as ordinary income. Business owners have another 1099 form that applies to them. The 1099-K is required for online businesses that accept credit card payments over a third-party network. Yes, even if you carry a Square device around to craft fairs or sell your goods online, you may have to worry about reporting the income you make. The good news is if you’re the seller, you’ll be on the receiving end of this form and you’ll just have to worry about inputting the information on Schedule C of your 1040. However, the minimum earnings amount necessary to trigger a 1099-K is $20,000, which means unless you’re running a business, you likely won’t receive this form. You’ll also need to have conducted more than 200 third-party credit card transactions to require a form. But as with other 1099s, failure to receive a form doesn’t release you from having to report your earnings. However, in the case of online sales, there are some exceptions. Generally speaking, if you’re just selling a few used items on eBay every year, the IRS won’t be concerned about it. The IRS sees it as losing money if you’re purchasing items, using them, and selling them for less than you paid. However, if you’re buying items and selling them at a profit or crafting items at a profit on a site like Etsy, you’ll need to let the IRS know about this income. Whether you report it as a hobby or an actual business depends on whether you actually make a profit from your activities in two of five consecutive years. If it qualifies as a business, you can take a loss in the years you don’t earn a profit. Otherwise, you can only deduct the money you spent on your hobby from the income you made. Receiving a 1099 means you’re earning extra income outside of a standard employment situation. If this is the case, it’s important to begin tracking your deductions. If your earnings are related to working as a contractor or running a business, you can deduct a wide range of expenses, including, but not limited to, supplies, mileage, equipment, utilities, memberships, education and training. If it’s an item that you use for both business and personal activities, such as a smartphone or your utilities, you can determine the percentage of business use and deduct only the portion you use for that. If you have a home office, you can either deduct a portion of all expenses related to that or you can use the IRS simplified calculation method of $5 per square foot up to 300 square feet. If your 1099 isn’t in relation to running a business or working, there are still ways to offset your taxable income. Those collecting unemployment benefits, for instance, may be eligible for credits and deductions available only to lower-income taxpayers. You may also be able to deduct your job search expenses, such as resume printing and out-of-town travel expenses. But it’s important to note the newly increased standard deduction of $12,000 per person, $24,000 per couple and $18,000 for heads of household, since this will likely eliminate itemized deductions for non-business filers. Retipster: What the Heck is "IRS Form 1099-S" and Why Should I Care About It? FindLaw: Do You Need to Report Your Online Sales to the IRS? Do You Have to File a 1099 for a Contractor Hired to Work in Your Own Home? Can Banks Invest Money in Stock? Do I Need to File a Tax Return if I Only Have Excludable Capital Gains From the Sale of a House? What Are IRS Reporting Rules About Sale of Gold Coins?